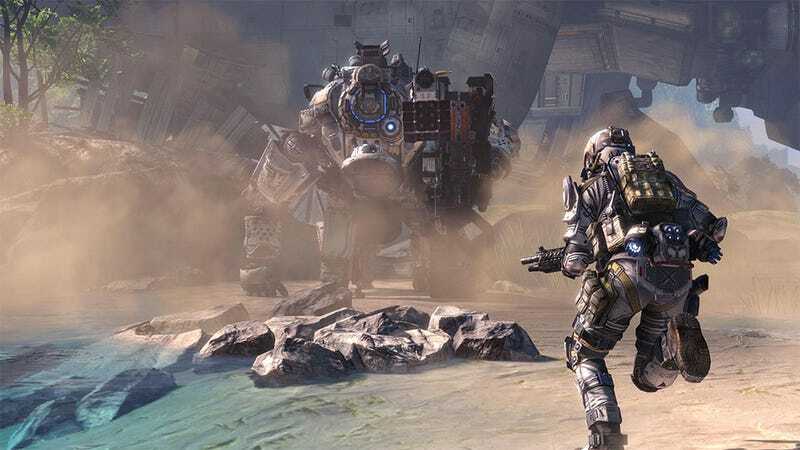 During their PAX East panel today, Respawn announced that they're working on new modes for Titanfall. These updates, in addition to other micro updates that they've already been working on, will be completely free to owners of the game. The first mode they're working on is a two-on-two version of the already-existing Last Titan Standing mode. They're working on new Burn Cards, too, contained to various themes like Titan upgrades. One of the other micro updates they mentioned during the panel is a new way to match with other Titanfall players. It's a hashtag system that'll let you filter through private matches under those categories. They're also looking into other highly-requested features like Titan insignias, competitive player stats, and something called "riffs," which are tweaks to modes they'll put out for a limited amount of time. Left 4 Dead 2 did something similar with weekly mode updates.